UK TV ABROAD | South Africa is to get three new BBC channels, as part of a new deal between South Africa's Multichoice DStv and the commercial arm of the BBC. BBC Brit and BBC Earth will replace the existing BBC Entertainment and BBC Knowledge channels in the country from the 1st September 2015. Male-skewing BBC Brit will launch will highlights including Sky 1's Karl Pilkington's The Moaning of Life, Duck Quacks Don't Echo and BBC Three's Life is Toff and will be available to DStv subscribers with the Compact, Extra and Premium packs. Premium factual channel BBC Earth will feature David Attenborough meets President Obama, Life Story and Life Below Zero. It will be solely distributed in HD for DStv Premium subscribers. 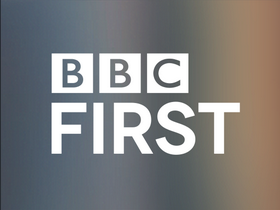 Then on 19th October, new drama channel BBC First will debut, featuring the nineth series of the rebooted Doctor Who, alongside Peaky Blinders, Wolf Hall and The Missing. The home of "Original British Drama" will be exclusively available to DStv Premium subscribers. The move is part of an ongoing revamp of the BBC's commercially funded international channels around the world, which started in 2014 in Australia and has since seen the new channels launch in locations including Scandinavia, the Netherlands and Belgium. South Africans will continue to receive BBC Lifestyle, the international version of CBeebies and news channel BBC World News. BBC Earth will also launch in Latin America in September, followed by Asia in October.